Blending Brush applies eyeshadow or glimmer over entire eyelid area, softens contour color, blends concealer and adds dimension to the face. The medium-textured, full brush head also lends light color intensity to the whole eye area. 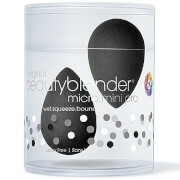 Corrects mistakes by smoothing everything out for a soft, seamless look. Applies over entire eyelid area, softens contour color and blends concealer. Use the Blending Brush to apply a light shade of shadow all over the lid up to the brow for an under-glow color. Then add depth by buffing a darker shade of eyeshadow from lid to crease with the Blending Brush for a smooth contoured eye. 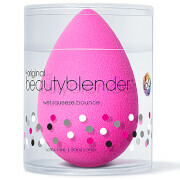 After you have applied your complete eye makeup look, use the Blending Brush to blend, blend, blend. 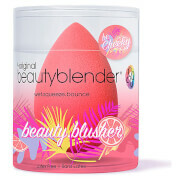 Blend for confidence and blend to sweep away any mistakes. International Customers - bareMinerals cannot be shipped outside the U.S.